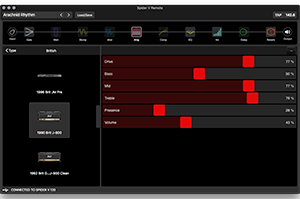 The new Spider V Remote is a FREE software editor that allows you to control your Spider V guitar amplifier via USB. You can edit tones by selecting amps, cabs or effects, switch tones, modifying parameters and more. You can load, save and organize your presets individually or even backup and restore all of your presets in your Spider V.
New librarian allows you to manage presets on your Spider V.
Fully resizable window management allows for other windows like a browser or a DAW to sit comfortably together in harmony on your display(s). HAVE A GREAT IDEA FOR SPIDER V? If you have a great idea for Spider V, we want to hear about it! Please visit http://line6.ideascale.com to post your requests and suggestions, or vote for features. This is the most direct way for you to influence our updates, and we look forward to hearing from you! The new Spider V Remote is a FREE software editor that allows you to control your Spider V guitar amplifier via USB. 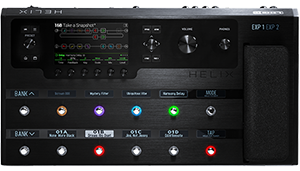 You can edit tones by selecting amps, cabs or effects, switch tones, modifying parameters and more. You can load and save presets individually or even backup and restore all of your presets in your Spider V.
Get the latest ASIO driver for Spider V for best results with this editor and your DAW. Iif you have a great idea for Spider V, we want to hear about it! Please visit http://line6.ideascale.com to post your requests and suggestions, or vote for features. 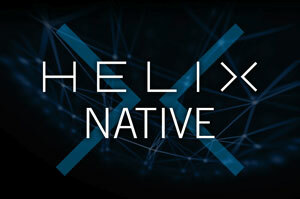 This is the most direct way for you to influence our updates, and we look forward to hearing from you!